Few things in life are more precious than our vision. Life’s most intimate and impactful moments often involve locking gaze with another, whether looking into the eyes of a spouse on a wedding day or seeing a newborn baby raise her eyelids in between the frequent nap. As such, few things in life can induce fear quite like the risk of losing one’s vision. This January we recognize Glaucoma Awareness month. Glaucoma is one such condition that, if left untreated, has the ability to progress to blindness. In fact, glaucoma is the second leading cause of blindness in the world after cataracts. While there are several subtypes of the disease, they all result in damage to the optic nerve, which relays information from the eye to the parts of your brain that interpret vision. Acute angle closure glaucoma results in a suddenly painful, red eye, with possibly nausea/vomiting and headache. This is typically due to abnormal anatomy of the eye, and will often occur when the pupil is dilated, for example, in the evening or in darker environments such as movie theaters. This form of the disease must be treated within 24 hours or permanent vision loss can occur. The more common Open angle glaucoma is typically a chronic disease over years, and can lead to progressive vision loss over time that ultimately leads to tunnel vision, as seen in the figure below. The risk increases with age, affecting 1 in 25 persons by the age of 80. Additionally, Black and Latino individuals are at increased risk as are those with a family history of glaucoma. While any loss of vision from glaucoma is often permanent, the good news is that screening can help detect any signs of glaucoma and allow for earlier treatment before more significant damage has occurred. The American Academy of Ophthalmology recommends all adults to undergo a full eye exam at the age of 40. 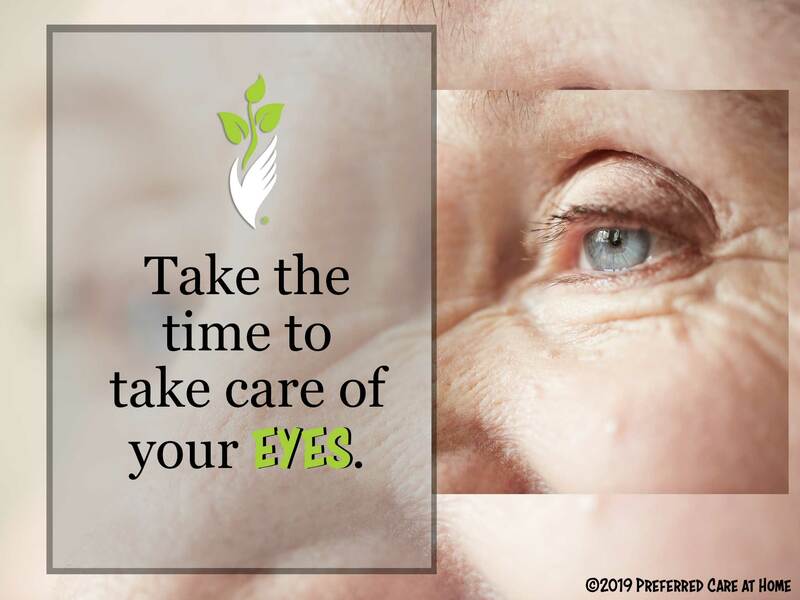 Additionally, those aged 65 and older should have a full eye exam every 1-2 years. * If you have risk factors for glaucoma, you may need more frequent eye examinations that start at an earlier age. It is important to talk with your doctor about your vision and understand what eye examination schedule is appropriate for you. This January, take the time to take care of your eyes. Don’t put off that overdue eye exam to a later date. Talk to a friend about his or her vision, and perhaps recommend an eye exam to a loved one. Together, we can raise awareness about glaucoma and help others seek the care they need to preserve a life of vision.